Zlatan Ibrahimovic appears to have made a huge change in his career - and it’s not that long-rumoured move to Manchester United. 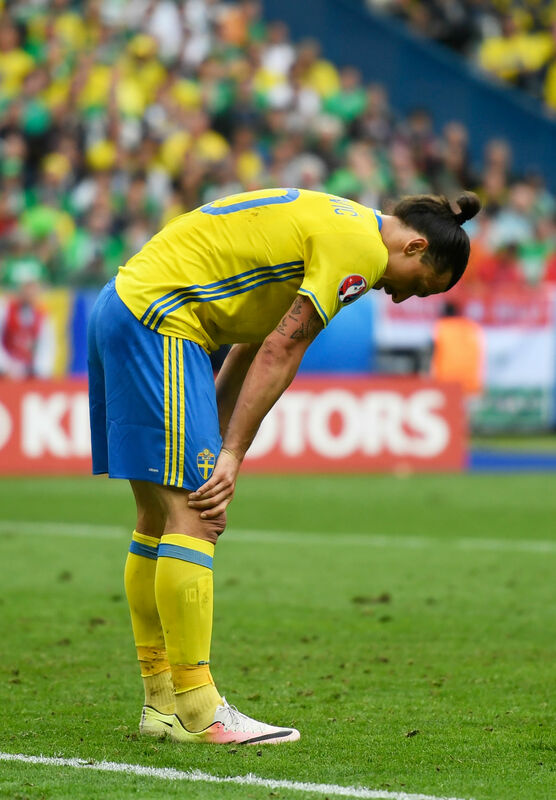 The striker has worn Nike boots for many years and began Euro 2016 with Sweden in his usual Mercurial Vapor models. But for Thursday’s training session with the national team, he stepped out in a pair of Adidas’ flagship boots. Normally, if players have not officially signed a contract with a manufacturer, they would train and play games in pairs of blackout boots. The move will come as a blow to Nike, who launched a #DareToZlatan campaign in April 2014 to heavily promote the striker. Although Ibrahimovic’s switch to Adidas has not been made official, it has also fuelled talk that the 34-year-old is on his way to Manchester United, who are sponsored by the German sportswear giant. REPORT: O'Neill's men down Ukraine Euro 2016 - re-live Thursday's action! Do Morata struggles show Madrid are right to sell?